18-year-old Musa Oukabir, brother of man who allegedly rented vehicle for attack, arrested in connection with Barcelona massacre. Police arrested an additional suspect wanted in connection with Thursday’s deadly terror attack in Barcelona. Investigators now say they believe they have the driver of the white Fiat van which mowed down pedestrians, in custody. Authorities captured 18-year-old Moroccan-born Moussa Oukabir, the younger brother of Driss Oukabir, in connection with the ramming attack. 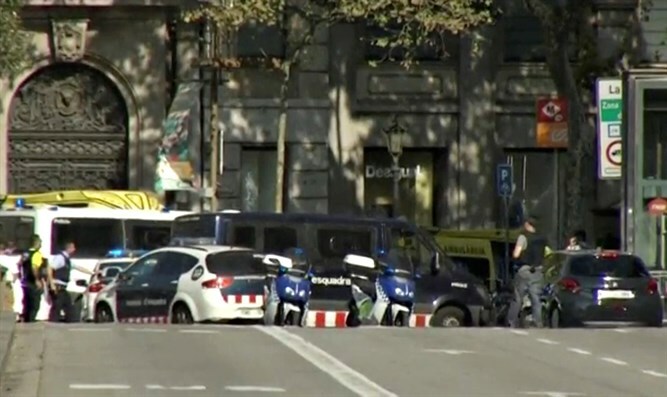 According to a report by The Guardian, local police believe Moussa Oukabir was likely the driver of the van which rammed through a crowd of pedestrians near the La Rambla shopping area in Barcelona. Driss Oukabir, 28, is suspected of having rented the Fiat van used in the Barcelona attack which left 13 dead and 80 injured. Driss has claimed that his younger brother stole his identity to rent the vehicle, though police are currently investigating the veracity of his story. “The priority right now is work out the identity of these people, to prove and show the relationship between the different people involved, those that took the van and those that have been able to escape,” Catalan local government official Joaquim Forn said, the Mirrorreported. Forn added that one of the two suspects arrested on Thursday may have been responsible for a gas explosion in Alcanar, saying the gas canisters involved in the explosion may have been meant for use in a bombing attack.